Have you ever heard someone casually mention the Pareto Principle, nodded like you knew what they were talking about, but really had no idea what they meant? Or how about the 80/20 Rule? Have you heard it credited with amazing improvements in productivity and outlook, but without any actual context to explain what it is? It turns out, when somebody cites the Pareto Principle or invokes the 80/20 Rule, they’re actually talking about the same thing. It’s the theory that 80 percent of life’s consequences come from 20 percent of life’s causes. That might sound abstract, but bear with me here—because it’s a model that can improve all kinds of situations in your personal and professional life. Where Did the Pareto Principle Come From? The name “Pareto Principle” can be traced to Italian economist and sociologist Vilfredo Pareto who, in the late 1800’s, published an academic work (Cours d’économie politique) in which he attempted to show how social income distribution follows a historical pattern. Pareto’s Pattern, as you might guess, stipulated that 20 percent of a given population controls 80 percent of the population’s income. Flash forward to World War II, and American engineer and management consultant Joseph Juran applied Pareto’s Pattern to quality control, arguing that—similar to income distribution—80 percent of manufacturing defects result from 20 percent of manufacturing mistakes. Juran then used this observation to recommend improved best practices around manufacturing. This is where the contemporary idea of the Pareto Principle (or 80/20 rule) was born, and it’s since been applied to improving everything from time management, to relationships, to sales and marketing, to diets. Yes, Jillian Michaels of The Biggest Loser fame insists you can ditch fad dieting once and for all and simply stick to an 80 percent healthy food, 20 percent “fun calorie” approach to eating. How Does the Pareto Principle Work? Don’t let the whole 80/20 thing fool you. The 80 and 20 of the Pareto Principle aren’t hard and fast mathematical laws, and nothing adds up to 100 every time. The Pareto Principle is a rough model intended to illustrate typical distributions. Think of them like you would segments of a pie chart—with one big 80ish% chunk and another smaller 20-ish% slice. So the main point of the Pareto Principle isn’t to isolate exact numbers—it’s to point out how—more often than not—all things aren’t distributed equally. The Pareto Principle exists to remind us that life isn’t a 1/1 model where one unit of input produces an equal unit of output. Here’s what that means for you: when you wrap your head around this input/output inequality, you can start adjusting your approach to your work (life, schedule, maybe even diet…) based on the 80/20 split. You can spend 10-15 minutes solidly outlining an article before spending 45-50 minutes writing it, rather than blindly charging forward for an hour and wasting your time writing in circles. You can invest an hour and a half toward planning out and prepping for a successful eight-hour work day, instead of moving around small items on your to-do list and getting nowhere before quitting time. To get an even better understanding of how you can best use the 80/20 Rule to make your own life easier, let’s dive into more specific examples. The 80/20 Rule is a perfect fit for time management. As soon as you come to terms with the fact that input and output aren’t a 1:1 proposition, it makes perfect sense why there’s never enough time in the day. Twenty percent of your efforts will quickly eat up 80 percent of your time, which means no matter how much sleep you skip or how much coffee your drink, you’ll never get it all done. If you want to make the most of your time, try applying the Pareto Principle by tackling the most important 20 percent of your tasks first, without letting the pesky 80 percent you can put off till later get in your way. 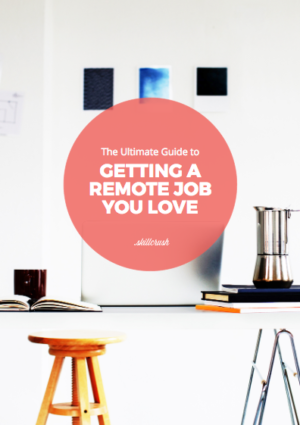 As someone who works from home, the easiest way I’ve found to prioritize things and stay on top of my own work commitments is to make sure my paid work is the 20 percent I start with every day before moving on to any household tasks like washing dishes and mopping floors. The dishes and floors will still be there when I’m done writing, and they’re not paying my bills, and if I don’t frontload that critical 20 percent, I’ll be up all night trying to make up for it. Personal relationships are another part of life that’s helpfully informed by the 80/20 rule. This includes family relationships, relationships with friends, work relationships, and—of course—your dating life, marriage, or partnership. While most online discussion of the Pareto Principle and relationships tends to focus on that last category, the fundamentals apply across the board. When it comes to relationships, the conventional application of the 80/20 rule is that no one person can meet your needs more than 80 percent of the time. For example, I’ve been married to my wife for 16 years, we’ve known each other for 28 years, she’s unquestionably my best friend, but in all the 80 percent of our closeness, she is NEVER going to share my interest in niche Japanese import video games. That’s part of the 20 percent I can’t expect our relationship to cover—and that’s totally fine. The issue is that, so often, we try to insist on other people meeting 100 percent of our needs (whether those needs are related to intimate relationships, friendships, or even collegial work pairings). When we waste time looking for non-existent 100 percent relationships, we end up looking past and squandering the 80/20 (or even 60/40!) relationships, friendships, and work partnerships that are right in front of us. The Pareto Principle helps put this in perspective so you can approach interpersonal relationships with healthier expectations. Whether you work for a large, established company, you’re a solo entrepreneur overseeing a freelance business or side hustle, or you fall somewhere in between, business always means facing a wide open field of objectives and opportunities. 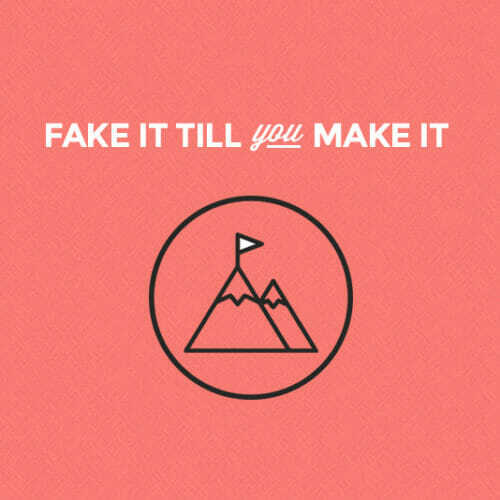 The challenge in business is to narrow the field down to what’s actually possible (and makes sense) to accomplish. Per the 80/20 rule, 20 percent of a business’ customers will account for 80 percent of its sales. This means, instead of treating your customer base like an undifferentiated mass, you should isolate that key 20 percent base and focus on them accordingly. Continuing on the 80/20 theme, 20 percent of a business’ products or services will be used 80 percent of the time. Similar to your customer base, not all of your business’ services are created equally. Instead of presenting a wide range of products in the same way, the Pareto Principle suggests that you should identify your core competencies and make sure your core 20 percent takes precedence over anything else your business might offer. When you’re looking for business funding—whether its big venture capital investments or anchor clients to keep your freelance gig afloat—remember that 20 percent of investors lead to 80 percent of a business’ funds. Instead of spending a lot of time casting a wide net and bringing back nickle and dime investments, the 80/20 rule says to spend your time more efficiently by reeling in your big pillar investors first. Customer complaints and business snafus can feel overwhelming, but the 80/20 rule helps put it in perspective. Sticking with the model, you’ll see that 80 percent of customer complaints or business errors come from 20 percent of problematic business practices. This means that zeroing in on your business’ problems and taking the necessary steps to correct them will be a much less exhaustive and wide-spread process than you might think. 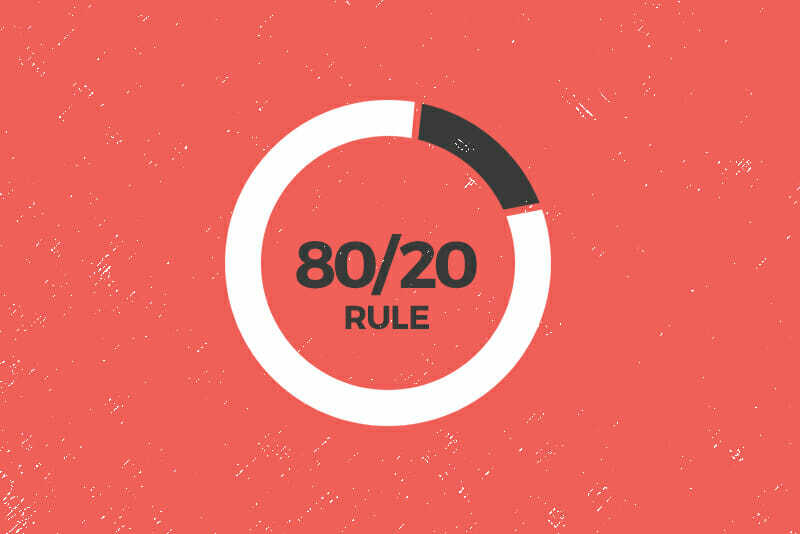 Since Skillcrush is a tech company, you didn’t think we’d cover the Pareto Principle without taking a look at how the 80/20 Rule applies to tech, did you? If you’re trying to maximize website traffic, identify the 20 percent of your website’s content that leads to 80 percent of its visits, and optimize that content to increase your site’s search rankings and bring in even more visitors. While the typical person’s smartphone is full of apps and their web browser has countless websites bookmarked, users spend 80 percent of their time interacting with only 20 percent of those apps and sites. The challenge in tech, then, is to figure out how to get your own products into that essential 20 percent. 20 percent of product bugs lead to 80 percent of product issues. If this sounds almost identical to the customer complaint example in the business section above, that’s because it is! This is the magic of the Pareto Principle—the fact that the 80/20 Rule is such a strong, recurring pattern. The only difference here is bugs versus complaints, but the principle remains the same: a small population of errors will be contributing to the majority of your product’s problems. Which means—once you identify that 20 percent—you’ll be fixing a much smaller portion of your development product than you might have thought. For anyone considering a career in tech, this is a big one—20 percent of tech skills lead to 80 percent of tech jobs. Yes, there are a ton of programming languages out there (with estimates ranging from 500-2,500) but out of the much smaller list of active and commonly used languages in 2018, only a few of those are required to start working in tech. Ready to combine your newfound understanding of the Pareto Principle with the skills you’ll need to break into tech? Look no further than our Front End Developer or Break Into Tech Blueprints. Our instructors will guide you step-by-step through all the skills you’ll need to start a lucrative tech career, whether that’s full time work or a part time side hustle.